Garage Doors can be more than just a functional part of your house. 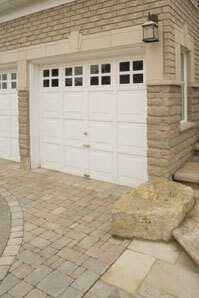 Your garage door is, more often than not, the major element of your homes' curb appeal and first impression. It is the easiest and most economical way to make a bold design statement for your home. 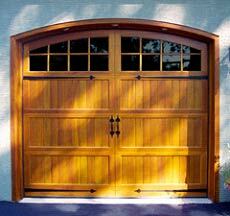 Steich Overhead Doors offers a complete line of custom garage doors in wood, metal, composite and glass. 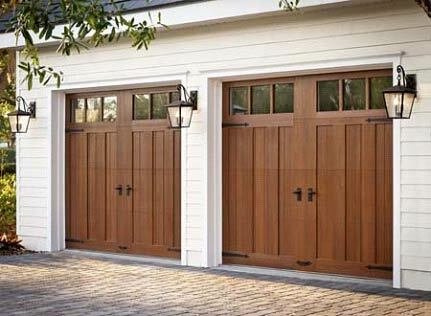 Steich Overhead Doors offers a wide range of custom wood carriage-house style garage doors from major suppliers like Artisan, Amarr, General, Wayne Dalton, Cloplay and Hass to name just a few. 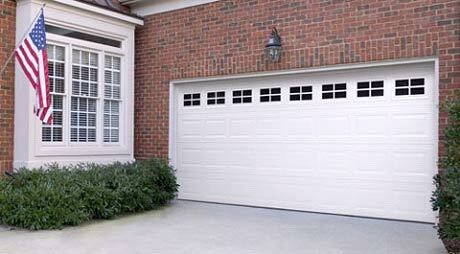 The carriage-house door is currently the most popular look in garage doors. This type of door looks like an old fashioned swing-out door but operates like a modern overhead door with automatic openers. There is a Carriage House door available to match any home design. Most homeowners we speak with are surprised at how affordable wood garage doors can be. An aluminum full view garage door can be used to express a unique style and provide a perfect complement to your home. These doors have a 20 year welded anodized aluminum frame warranty. PANELS: Anodized aluminum .051 thick encased in a vinyl gasket and held in place with a vinyl snap in molding. Panels .062 (1/16”) available, perforated panels, louvers, wire cloth, mesh, etc. available. GLASS: Sections to be glazed are normally prepared for D/S (1/8”) thick glass. Sections can be provided to accept up to 1”thick insulated glass. ASTRAGAL: Vinyl astragal is standard on all door bottoms. TRACK: Arm-R-Tite 2” x .083 galvanized steel or 3” x .109 galvanized as indicated, Horizontal tracks curved on a 15”, 20” or 32” radius, high lift, vertical lift. Vertical tracks bracket or angle mounted. HARDWARE: Hinges are 13’ gauge tubular type galvanized steel with roller carrier incorporated in hinge. End hinges and the center hinges are secured with specially “designed” ¼” self tapping screws. Rollers are heavy duty cadmium plated steel ball bearing rollers with hardened inner and outer race. ALL SECTIONS ARE DRILLED FOR HINGES. LOCKING: End stile lock, inside locking only is standard. Other arrangements available. All locks to be field drilled. REINFORCING: All sections over 14’ 2” are adequately reinforced with aluminum angles/ steel struts as required. All doors over 12’ 2” with ¼” glass require reinforcing. OPERATION: Manual is standard. Chain hoist or motor operation is optional. If door is to be motor operated so state on order giving type of operator (drawbar or jack-shaft) to be used. NOTICE: Jackshaft operation on regular lift doors not recommended. OPTIONS: Water Resistant Package, Energy Efficiency Package, Pedestrian Pass Door within overhead door (with and without step over). Sloping bottom rails and matching entrance doors and gates are also available. Steel remains the most popular garage door type. They are virtually maintenance free, with many styles and colors to choose from. Different levels of insulation, window options and designs are available. They are also very affordable and provide a great value in designs from Carriage House styles to contemporary flush panels. Unlike natural material, this faux wood door is moisture resistant, so it won’t rot, split, shrink, separate, or crack. And it’s incredibly energy efficient for year-round comfort. The 1/2"-thick cladding overlay material is molded from actual pieces of Clear Cypress wood to replicate its natural texture and intricate grain patterns. Once installed, it's virtually indistinguishable from real wood. 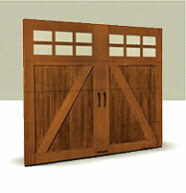 Steich Overhead Doors specialize in custom garage doors in the Bedminster PA area. We can help you select the best garage door whatever your specific needs may be. Get a quotation now.